The school kilt is perhaps the most widely seen uniform, adopted by thousands of schools around the world. But is its popularity diminishing, amongst reports of teenage girls rolling the waist bands up, to make their kilts shorter, and school principles sending students home for not complying with school dress regulations. It is true that a few schools, especially amongst the Catholic girls schools in Canada, have actually done away with the school kilt as part of the uniform. And the main reason for this decision seems to be the point made above, about the ever shortening hem line being sported by many of the students. A perfect example of this can be seen below, both girls kilts should be the same length, but as you can see, one has chosen to shorten hers. But faster than schools are dropping the school kilt as their official uniform, many others are newly adopting it, and this includes some countries where you may not expect to see kilts being worn, especially as a school uniform. I refer here particularly to a recent decision by a group of twelve Japanese headmasters, who, having visited Sir Walter Scott's Abbotsford home, were persuaded to adopt tartan for their school uniforms. For those of you who don't know him, Sir Walter Scott was the man who almost single handedly popularized tartan during the nineteenth century. These twelve Japanese schools, have opted for the kilt for girls, and trews, tartan ties and scarves for the boys. One of Scotland's most famous mills are busy supplying tartans to Akatsukti, Japan's main manufacturers of uniforms. 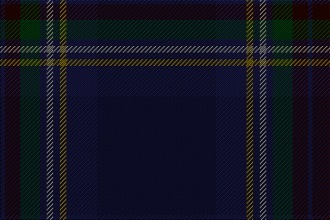 Lochcarron of Scotland, have said that the "Holyrood" tartan, which was designed for the palace of Holyrood in Edinburgh, and the "Isle of Skye" tartan, worn by the Queen at the Scottish Parliament opening, are proving to be very popular as school uniform tartans in Japan. 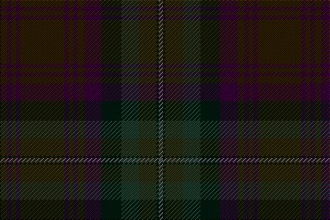 You can view both of these tartans below. When you think about it, it should be no great surprise, as the Japanese love all things Scottish, golf and whisky are two good examples, in fact the Japanese have even bought several Scottish Whisky distilleries. So it would seem that the kilt, as a school uniform is set to remain popular in thousands of schools around the world, despite the attempts of some teenage schoolgirls to wear it as a mini kilt. For a more detailed look at what a school uniform kilt is, the link will take you to a page that covers that subject in some detail.